Lt. Gov. Beverly Perdue (D) was chosen as the Democrat’s nominee for Governor. She can be N.C.’s first female governor. Prior to her election as Lt. 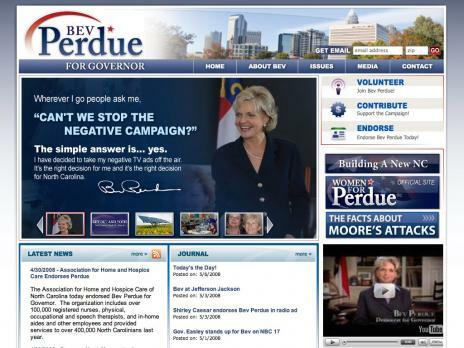 Governor, Perdue served in the North Carolina House of Representatives for two terms and the North Carolina Senate for five terms. This entry was posted on Wednesday, May 7th, 2008 at 8:43 am	and is filed under Official. You can follow any responses to this entry through the RSS 2.0 feed. Both comments and pings are currently closed.